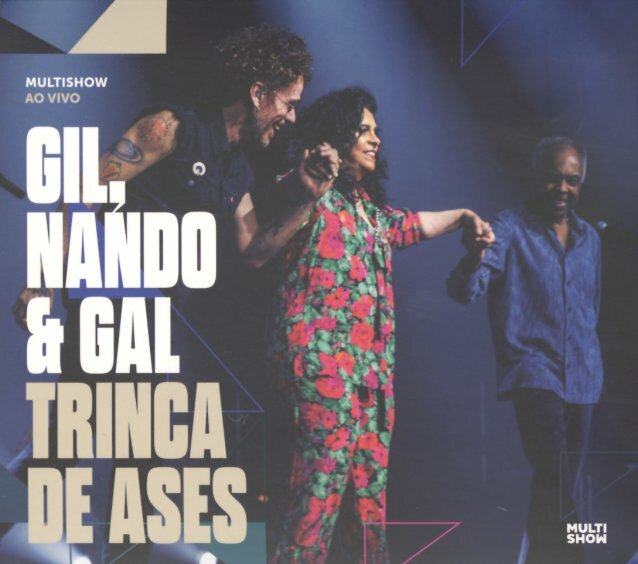 Three Brazilian musical giants – all coming together in a live setting – and presented in a way that reminds us of some of the great collaborative MPB projects of the 70s! All three artists participate vocally – taking verses alone and together, and frequently trading lines or sharing lyrics – all set to well-crafted backings handled by Gilberto Gil and Nando Reis – with this fantastic collaborative spirit that stands as part of that great legacy of Brazilian music – a field of true giants who are always willing to put their egos aside in a way that so many Anglo musicians still haven't discovered! The sound here is wonderful – far more than the sum of its already-great parts – on titles that include "Perola Negra", "Baby", "All Star", "Palco", "Trinca De Ases", "Dupla De As", "Retiros Espirituais", "Barato Total", "A Gente Precisa Ver O Luar", "Por Onde Andei", and "Nos Barracos Da Cidade". © 1996-2019, Dusty Groove, Inc.